Designed for salt water use or any situation when optimal corrosion resistance is necessary. Heavy duty components for long running operation, even in harsh environments. 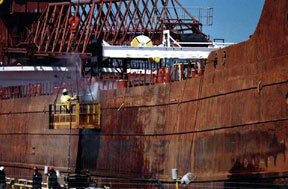 Always ready aboard vessels and at dockside operations. Most components of these units are made from stainless steel. 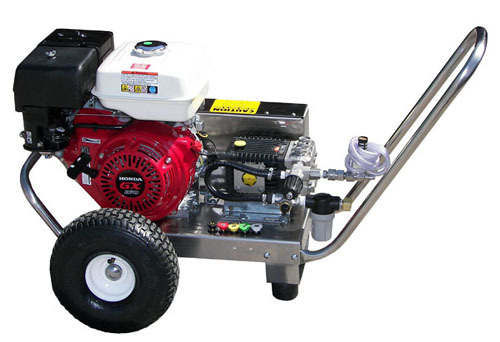 These stainless steel pressure washers use a belt driven system along side their stainless steel pumps. 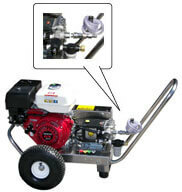 The pressure and flow of these models is designed for quickly getting rid of grease, dirt and grime. 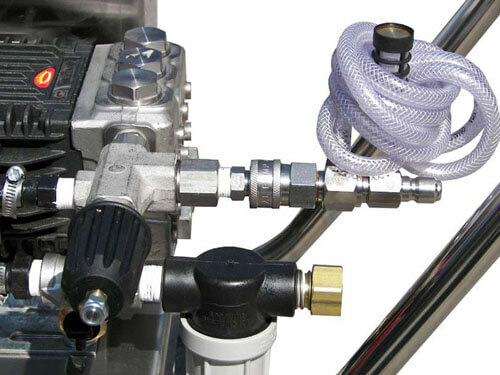 The higher flow rate will allow you to get the job done in a shorter time. Stainless steel pumps were introduced to the market during the 1980's as a cost effective solution to the battle against corrosion. 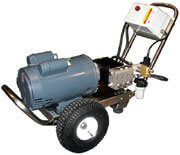 Corrosion can cause premature failure of a pressure washers pumps and components. While corrosion can occur in any wet environment, adding salt water to the equation can greatly increase the danger. The use of stainless steel pressure washers has become widespread in these situations. The quality, construction and durability of these pumps equal their bronze counterparts and make them an exceptional value for the money. Not only are the pumps themselves stainless steel but many of the other components of the washer, which would traditionally be brass, are stainless steel as well.